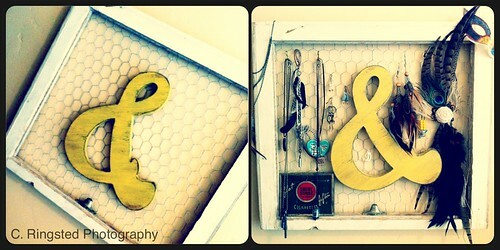 DIY: Upcycled Vintage Window Frame Jewelry Holder, a photo by Sanctuary-Studio on Flickr. I actually made this a few months back but just finally got it up on the wall yesterday. Life: Drama-free Is The Way To Be!